The 18 March attack on the Bardo national museum in Tunis killed 21 foreign tourists and a policeman, shaking a country that has been praised as a peaceful democratic model since leading the first of the Arab Spring uprisings in 2011. A red-and-white sea of Tunisian crescent and star flags filled a major boulevard in the capital where several world leaders, including French President François Hollande, came to rally under the slogan “Le Monde est Bardo” (The World is Bardo). Italy’s Prime Minister Matteo Renzi took part in the demonstration, along with leaders of Algeria, Belgium, Libya, Poland and the Palestinians. 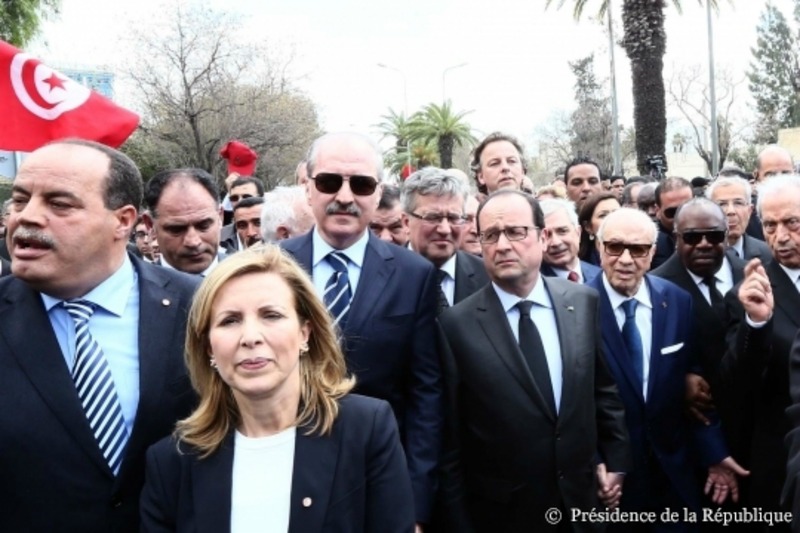 According to a Commission press release, Council President Donald Tusk, EU foreign affairs chief Federica Mogherini are the EU anti-terrorism tsar Gilles de Kerchove are also in Tunisia, “to explore ways to increase the EU assistance to Tunisia”. The group was previously closer to al-Qaeda, but has made vague statements on its position toward Islamic State, the al-Qaeda splinter group that now controls large parts of Iraq and Syria. The two Bardo gunmen were trained over the border in Libya, at camps operated by Tunisian militants, officials say. Both were killed by the security forces. Cheap window dressing avoiding making hard decisions in case it upsets some lefty liberals!